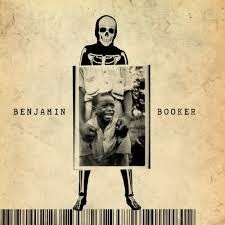 I’ve been a huge fan of Benjamin Booker ever since his early days. In fact, I became a devoted, drooling Bookerhead right after the release of his very first album — last month. I’ve learned that record company hype almost always leads to disappointment. But there were two videos embedded, so I played them and immediately went to Amazon.com and ordered the CD. I hardly ever do that, but I urge you to do the same, as soon as you finish reading this column. The album also has a handful of soulful ballads. “Slow Coming” is one of these, though it gradually builds up to louder volumes. You might expect a song titled “I Thought I Heard You Screaming” to be a raucous screamer. It’s not. I could imagine the late Venice Beach troubadour Ted Hawkins doing this one. 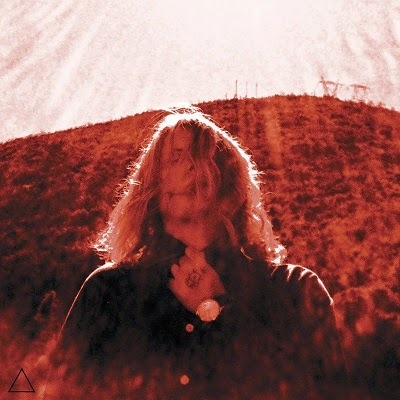 * Manipulator by Ty Segall. Here’s another recently released crazy-good screaming guitar album by a wild-eyed youngster in his mid-twenties. But, unlike Booker, Segall is no spring chicken when it comes to the recording game. He’s released about a dozen albums since his debut in 2008, including his various side projects and collaborations. His previous album, Sleeper, which could have been called “Snoozer,” was mostly acoustic. 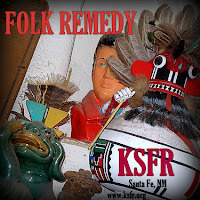 But on the new one, he goes back to the metaphorical garage, doing high-velocity rockers with touches of folk rock, power pop and, in a few spots, even soul. Talk about someone being influenced by T. Rex: Segall, who once released an EP of Marc Bolan covers called Ty-Rex, seems to be channeling the ghost of that band on several songs. And some of the tunes here — the psychotic-electro stomper “The Connection Man,” for instance — clearly pay homage to his San Francisco cronies and latter-day psychedelic rangers, Thee Oh Sees. The title song starts with chiming keyboards that might remind old-timers of Pet Sounds-era Brian Wilson and his teenage symphonies. “I used the telephone to sneak inside your home, my finest friend,” he sings with all the charm of a stalker. Then the guitar and the electronic weirdness kick in. 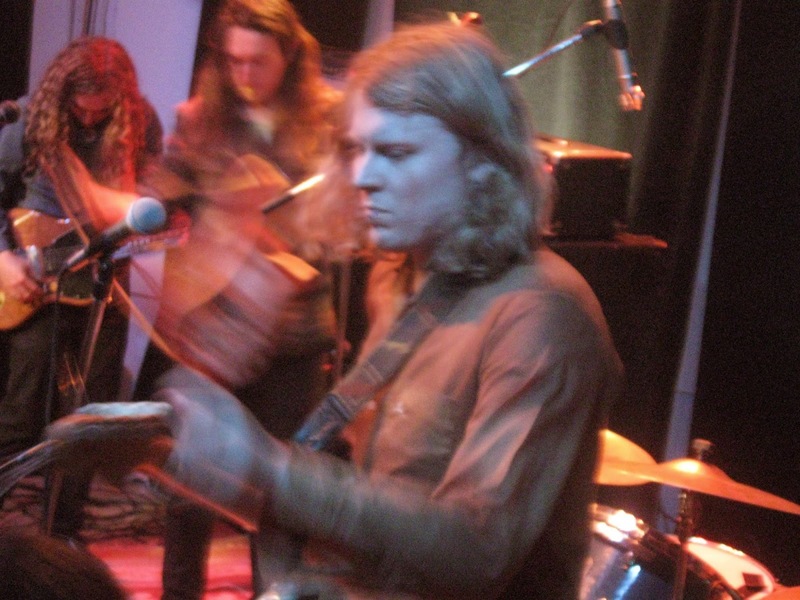 That’s followed by Segall employing his finest falsetto on “Tall Man, Skinny Lady,” an infectious blend of bubblegum, funk, and raw noise. Segall even has a proper goodbye song called “Stick Around.” That’s a pretty invitation from a musician worth sticking around for. 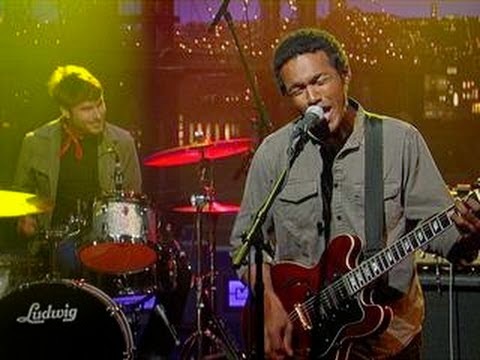 Check out interview with Booker and an impressive live-in-the-studio performance on KEXP-FM 90.3 in Seattle by Booker and his band. 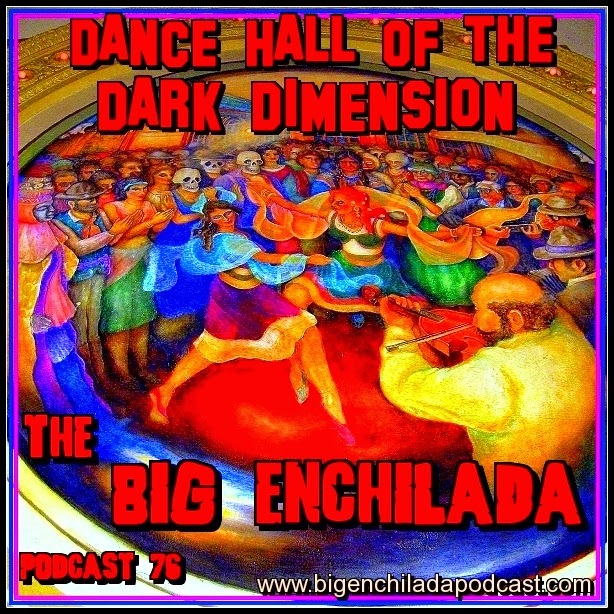 Everyone knows the names of Fats Domino, Little Richard -- and veryone ought to know the names of Irma Thomas, Professor Longhair, Ernie K-Doe, Bobby Charles and Clarence "Frogman" Henry. Unfortunately, far fewer people know the name of Cosimo Matassa, the New Orleans recording studio genius responsible for a big chunk of what came to be known as rock 'n' roll. Cosimo died yesterday at the age of 88. It hardly seemed like the setting for a musical revolution. Upstairs, bookies ran a horse-betting operation. In the alley outside, a shoeshine man plied his trade. But Mr. Matassa engineered sessions featuring some of the biggest stars of the day, maximizing the sonic potential of relatively primitive recording gear. Soon the hits started coming. In 1947 Roy Brown recorded "Good Rockin' Tonight," at J&M. In 1949 he began a partnership with piano player/producer Dave Bartholomew, who would become a major architect of the New Orleans sound. And later in '49, a chubby little guy named Antoine "Fats" Domino recorded eight songs (in one day!!!) there, including "The Fat Man," which would launch his career. Little Richard recorded "Tutti Fruitti" at J&M. Professor Longhair cut "Tipitina" there. By the mid '50s Cosimo moved his operation to a larger space on Governor Nicholls Street in the French Quarter, which he named Cosimo Recording Studio. He ran that until the 1980s, when he got out of the music biz and went to work for his family grocery. 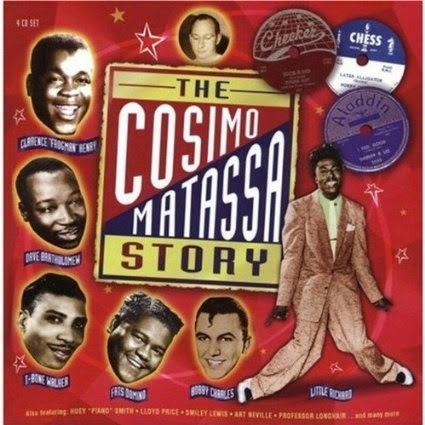 In case you have any spare cash in your music budget, today would be a good day to pick up one or both four-disc Cosimo box sets, The Cosimo Marassa Story (which my daughter gave me several years ago) and Gumbo Ya Ya: The Cosimo Matassa Story Vol. 2 (which I bought when I was in New Orleans last year. Thanks for all you did, Cosimo. 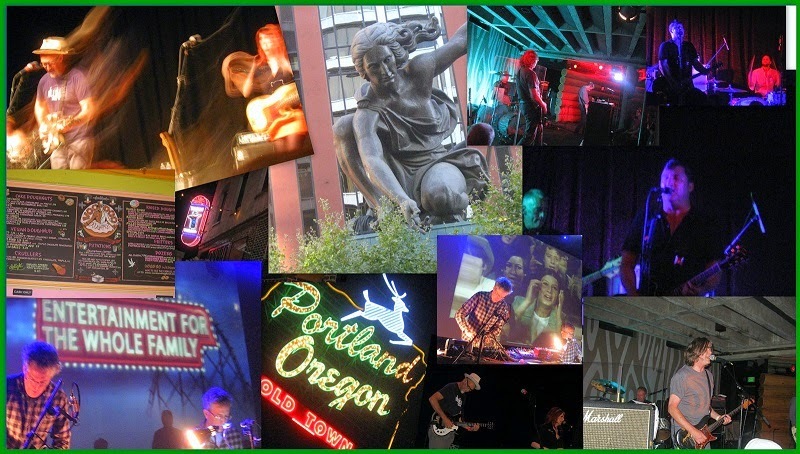 This week's Tune-up column is a recap of all the great shows I saw in Portland last week, nearly all of it based on my accounts published here in this blog. So I'll just post the section on Mission of Burma here (I saw them Saturday night and had to catch a plane early Sunday, so I didn't have much on them that day) then the links to the posts on the other shows. Hail Portlandia! But then I remembered that the members of this band are about my age. If they can be up there playing, I should be able to make it through a performance. And the band was in top form as well. They roared; they soared; there was blood on their swords. Onstage were original members Roger Miller (who looks like he could be Neil Young’s tougher little brother) on guitar, Clint Conley on bass, and Peter Prescott on drums. And somewhere offstage was longtime member Bob Weston, who does tape loops and electronic effects. Normally classified as “post-punk” (whatever that means), the Mission sound is most like that of Hüsker Dü. Both groups released their first recordings in 1981, and both were stripped-down guitar bands playing raw, urgent music. As I’ve written before in reviewing their last few albums, since the beginning of the second phase of their career (which began about 10 years ago, following a 20-year layoff), MoB is as fiery as ever. And here is 49 minutes (!) of the very Negativland show I saw last week at the Crystal Ballroom. You probably can see the back of my head up front.